FRESHMILL HerbZ is a revolutionary culinary herb mill. Fill it with whole, fresh herbs and store it in the freezer. 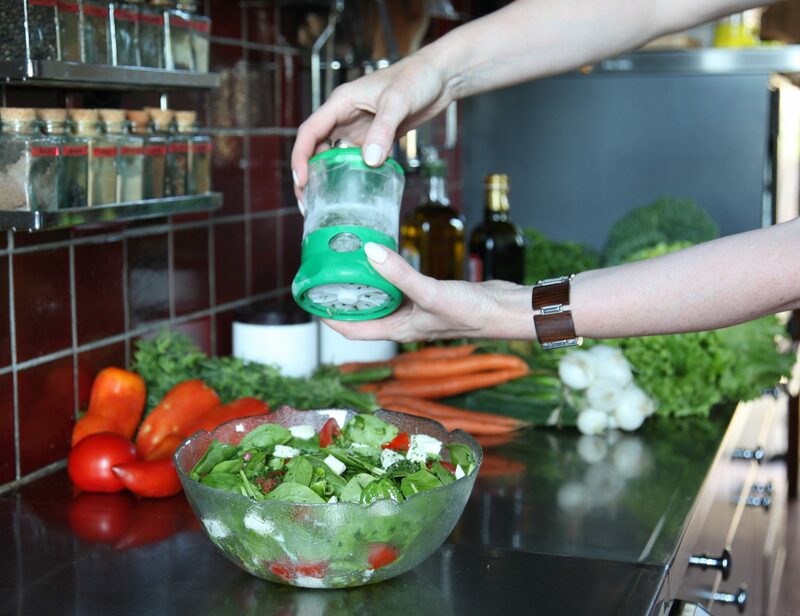 Then use the FRESHMILL HerbZ like you would do with a peppermill: hold it over your dish and twist a few times to sprinkle finely chopped herbs on your food. Lovers of fresh herbs can enjoy perfectly preserved flavours for several months. This is firstly due to the fact that the herbs are stored frozen but whole, and not pre-chopped like most domestic frozen herbs. Secondly, you know what you’re putting in there: organic herbs, from your own crop or kitchen garden, your own assortment… They won’t be blended with unsaturated oils or other technological additives, like industrial frozen herbs. And you will avoid to waste all these herbs that wilt so quickly and have to be thrown away. You’ll also love how easy it is to use. You no longer need to spend time preparing herbs, or cleaning the chopper whenever you want to season a dish. The herbs are prepared at the start, up to 50 g or the equivalent of twenty servings. Then clean the mill when it’s empty, by simply rinsing it in clean water, since the frozen herbs are not crushed and won’t stick to the mill. Enhancing a dish with fresh herbs is as simple and quick as adding salt and pepper! 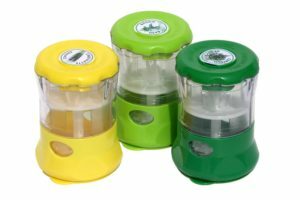 FRESHMILL HerbZ is available in 3 colours so you can store different herbs and find them more easily in the freezer. Clip-on lid labels are also provided to display the type of herbs in each mill. 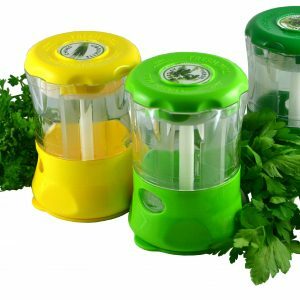 FRESHMILL HerbZ is suitable for all herbs (dill, parsley, basil, chives…), but only herbs. For garlic, onion or shallots, choose the FRESHMILL GarliX instead. Discover a few Tricks und Kniffe, to get the most out of your FRESHMILL HerbZ.